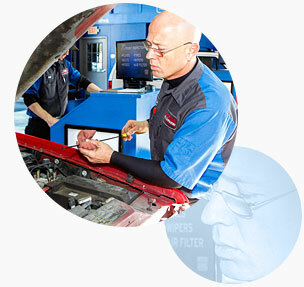 Our signature 10-minute oil change is a fast and friendly experience, and includes a complementary examination of the mechanical and safety condition of your vehicle. No appointment necessary – stop by, and we’ll get you in, out, and back on the road! Why You Should Change Your Oil Every 3,000 Miles? An ASE (Automotive Service Excellence) survey showed that 90% of surveyed mechanics believe the best thing a driver can do to properly maintain their vehicle is changing their oil every 3,000 miles. As the average age of vehicles on the road continues to increase, so does the need for routine maintenance, like oil changes every 3,000 miles, to extend the life of your vehicle’s engine.